These brown butter mochi muffins are quite different from any other muffins out there. For one thing, they have a chewy soft texture with intriguing little bursts of flavor that is the best version of mochi I’ve ever eaten. Ringing through them, is the nutty taste of brown butter, then butterscotch with a resonant intensity of burnt caramel, and finally the crunch of sesame seeds that pop out to startle you. I think it’s safe to say, one batch probably won’t stay around very long, but if you are blessed with some leftover muffins, store in an airtight container at room temperature for up to 2-days. Makes 1 dozen medium-sized muffins or 2 dozen mini-sized muffins. Recipe adapted from Brown-Butter Mochi at The New York Times by Samin Nosrat. Inspired by Third Culture Bakery at Berkeley, CA. Grease cupcake tins with butter, including the rim around each muffin cup to help remove the muffins after baking. To brown the butter, melt butter in a heavy saucepan over medium heat. Swirl the saucepan occasionally, until the butter turns golden brown and begins to smell nutty. This will take about 5 minutes total, be careful not to let it burn like I did with my first attempt. Remove from heat, and add coconut milk and brown sugar. Whisk until sugar and coconut milk melt. Transfer mixture to a medium bowl. Add eggs and vanilla, and whisk until smooth. Set aside. In a separate large bowl, whisk together mochiko flour, baking powder and salt. Slowly add the dry ingredients into the milk mixture, and mix until smooth. Scoop batter into prepared cupcake tin completely filling it to the top. Sprinkle the tops with black and white sesame seeds. Bake about 45 minutes until they just feel set in the center and the tops are golden brown. If using mini-sized muffin tin bake for about 30 minutes. Remove from oven and let cool on a wire rack before serving. 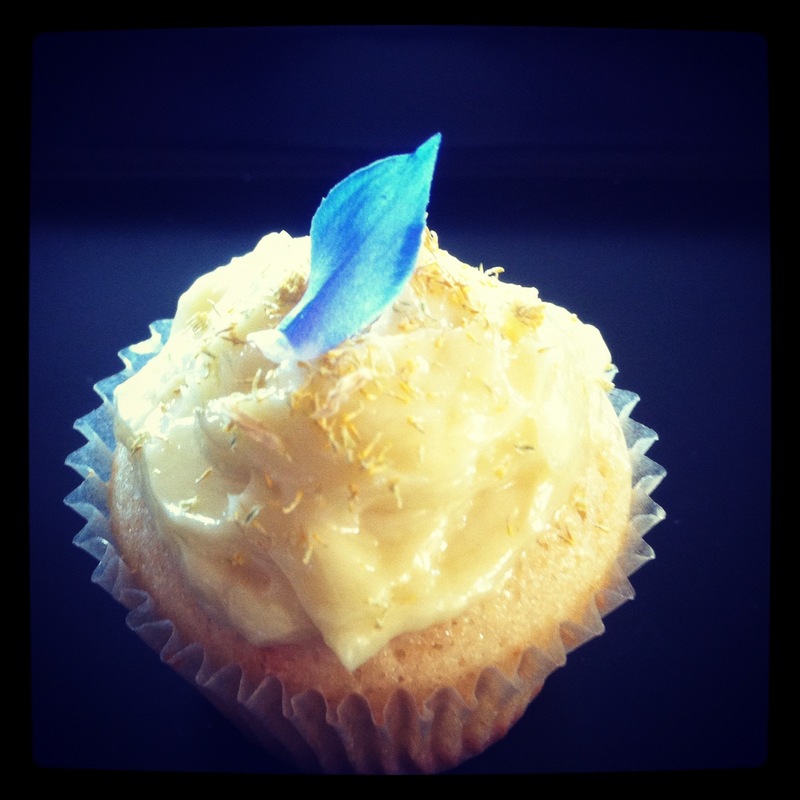 Light and fragrant, honey chamomile cupcakes get their distinctive flavor from an aromatic tea infusion. Topped with clouds of honey whipped cream and jewel-like edible flowers, these miniature cakes— are simply divine. Their taste is as refined as their beauty. Light and fragrant, this honey chamomile cupcake gets its distinctive flavor from a tea infusion, which is further enhanced by a cloud of honey whipped cream, and adorned with jewel-like edible flowers that is — simply divine. Its taste is as refined as its natural beauty. Enjoy this cupcake recipe as an extra special treat to yourself, or for your friends and family. Click here for the recipe. Baking from the garden is a wonderful way to use up the generous supply of zucchini that is so easy to grow. With the cream cheese swirl, this cupcake is fancy enough to serve for company, or indulge in all by yourself for an afternoon treat, midnight snack, or whatever— you don’t need an excuse to enjoy it any time of the day. Click here for the recipe.